We know there have been many cancellations and we are working to update you each time online, on Facebook within events, via email, etc. We post the info on Channel 3 and 13 as well. OTHER SCHEDULE INFORMATION: We encourage you to stay informed through our Facebook page and subscribe to the event tab for program announcements. Please stay engaged by liking and sharing comments, say you are interested or going to specific events, plus checking our website. There is now a Google Calendar that you can subscribe to by clicking on the link below. 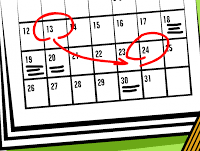 There is also a Cedar Springs Public Schools Facility Calendar to see all event son campus by clicking on the link below. Online Registration will now include signing of all waivers and concussion forms. This does require payment with a credit card and will incur a small convenience fee. If you have participated in programs before you would already have an account on file associated with an email and if you need help figuring out what that is we ask you email director@csaparksandrec.com and we will try and get back with you within 24 hours.